Ring the Rhino is fun for all ages. Players compete by tossing the rings onto the Rhino's horn. This bright and colorful game is the center of attention at any birthday party or event! 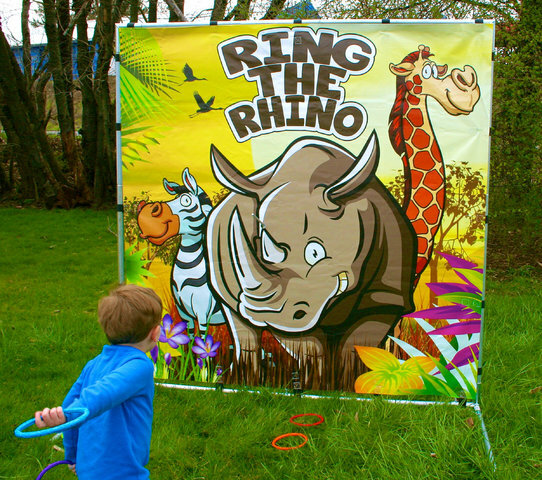 Ring the Rhino can be used both indoors/out.